Stolle - One of the varieties of traditional German pastries. We can confidently say that this is the most famous version of the Christmas cake, which is baked in the manner of the period of Advent, then "ripened" 2-3 weeks before Christmas. 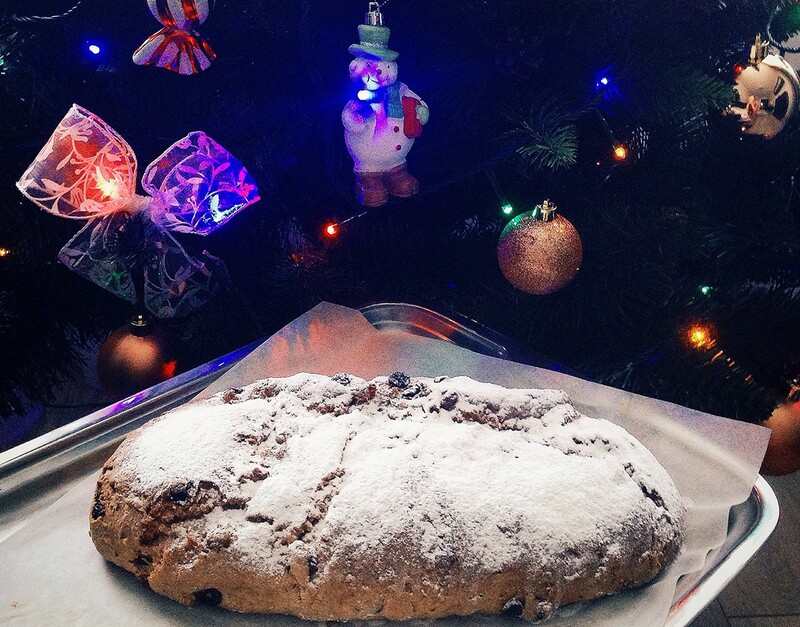 Stollen symbolizes the newborn Jesus in swaddling clothes, and this is due to its shape (the correct form - is an oval, which simulates like a baby zapelenovannogo). I admit that baked Stollen for the first time and was very worried: if all goes well, if I can, and most importantly - whether tasty, if expectations are met. Now (already tried one of his shtollenov on Christmas Day) I can safely say: it exceeded all my expectations! Bright rich taste of rum and orange, which gave a cake candied fruits and dried fruits, can not be compared with anything! The consistency is quite thick (again because of the abundance of nuts and dried fruits), but at the same time, when his bite, it literally melts in your mouth and taste buds start to go crazy. Stolle did not even want to drink tea or coffee, so as not to "dilute" the taste. In short, it is very tasty, very unusual, it is better and you can not come up with! And how perfectly handsome wrapped in paper or foil (I wrapped it in order to give as candy - looked very impressive!) And give relatives or friends for Christmas! Try and hopefully Stoll become a tradition in your home.